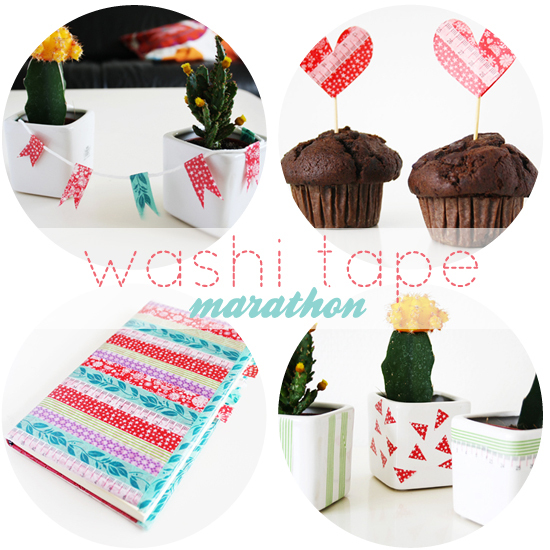 10 Day Washi Tape Marathon! 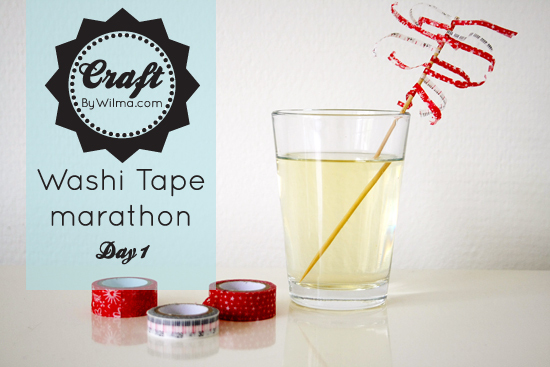 You might already noticed today’s earlier post with the first craft of my 10 day washi tape marathon. I thought I should tell you the story behind it all. I am always looking for new things to craft for this blog and I have a lot of ideas about what I could do. But sometimes I find a material so interesting, cute or just inspiring that I want to do multiply crafts with it. I also thought that it’s a great creative challenge to make 10 crafts with one material as a base. Washi tape was my first choice because I love that it’s cute, easy to work with and widely available. This will be my first craft marathon, but be warned: it will not be my last!